What are the steps to attracting people to your construction company? How can you attract great people to work in your construction company? Or perhaps, given the current climate, how can you attract any people? The construction industry’s challenge is that at the same time as developing into an exciting and varied sector, it has an image problem. Popular perception of construction can often be summed up as laborers in dirty overalls digging holes with spades. 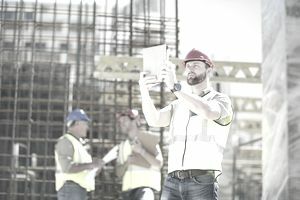 Any successful recruitment drive, therefore, needs to take into account two things: what you need in terms of candidates; and what you can do to make construction look good to candidates with any background that meets your staffing needs. Manually-oriented skills. Masons, plumbers, electricians, and glaziers, for example. Customer-facing skills. Sales staff and account managers are in this category, preferably with the skills to use construction customer management applications too. Construction management skills. Bigger projects will require managers with good organizational, project management and people skills. New technology skills. Employees at ease with software, computer models and hi-tech of different kinds will be needed here. They may or may not have worked in construction before. Some companies are broadening their recruitment efforts to be sure to include men and women, as well as different ethnic groups. They realize that given the workforce shortages they will need to attract suitable talent wherever it exists. Aim for a frank and open exchange about what you want and what the candidate can do. Allow a few minutes to put candidates at their ease. You will both get more out of the interview. Ask open questions (starting with ‘What’ or ‘How’, for instance) to get a conversation going. Conclude by thanking them for their time and by stating the next step in the process, whether this will be a yes (job offer) or no (no job offer) decision on your part, or a further interview. Remember that potential employees may be looking for continuing education and training to help them progress in their work and their careers.